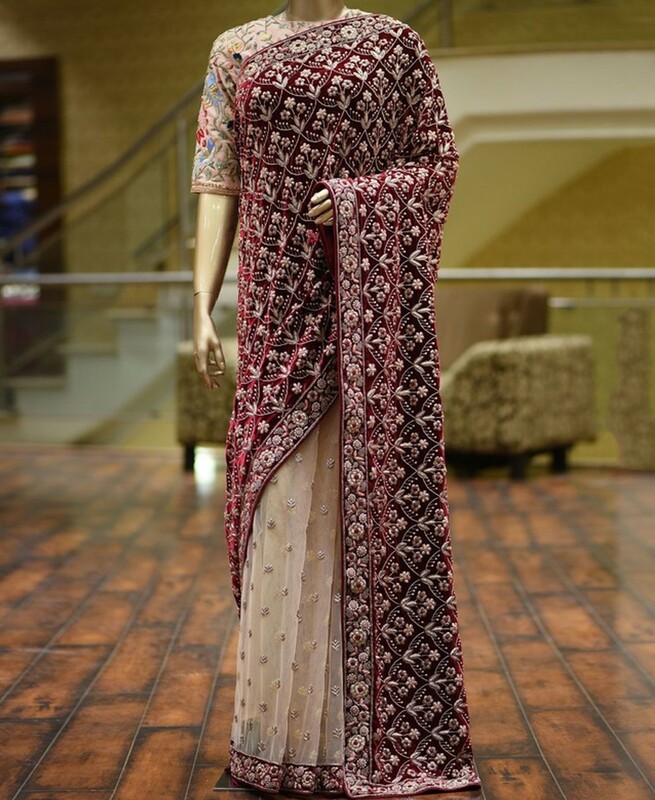 Pamper yourself or gift your loved once!Wear this designer saree skilled with embroidery work. Heavy designer Velvet and net fabric saree with Un-stitch banglori silk Blouse. Blouse featured with front&back embroidery and border lace with embroidered 3/4 sleeve. saree having satin inner.